The Grand Old Flag Patriotic Award is perfect for your community event. With its American flag column of variable height, and golden star with insert of a flag surrounded by fireworks this award will be the envy of all competitors. 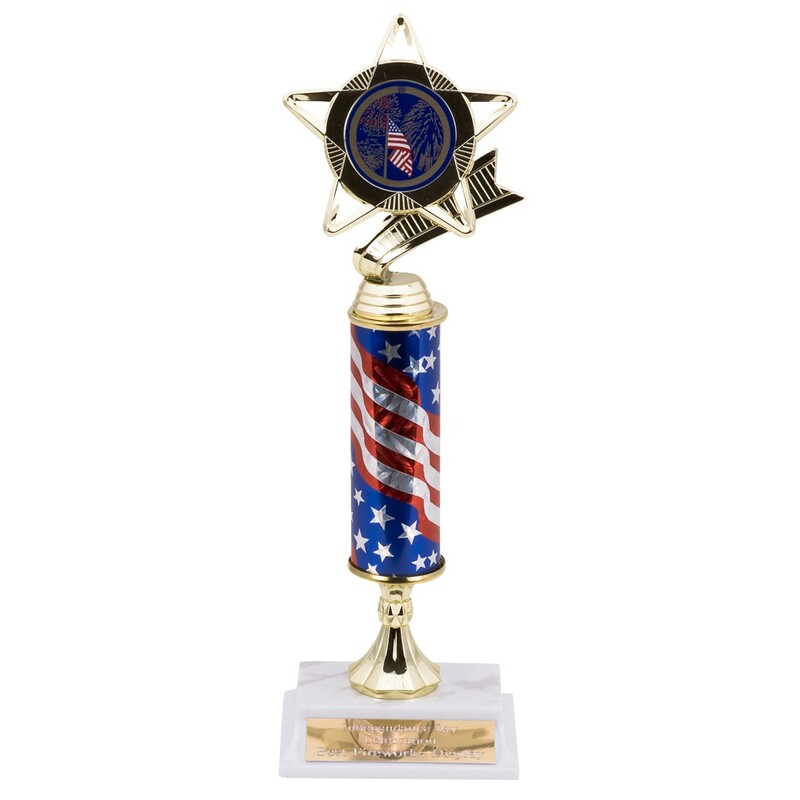 This patriotic award will be a gorgeous addition to your event and a perfect way to award your talented patriots.